7A Unit 2 Pronunciation Work in pairs and talk about the school and class the lessons the after-school activities the teacher and friends. 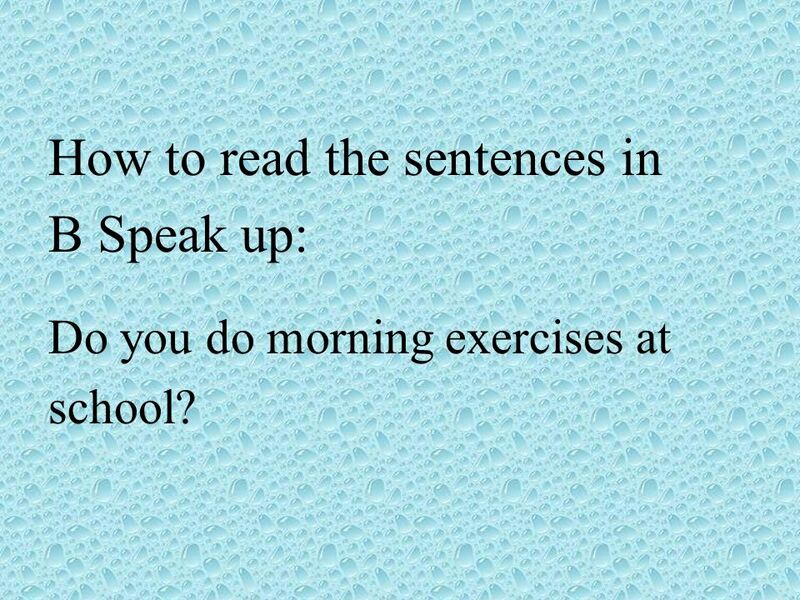 4 How to read the sentences in B Speak up: Do you do morning exercises at school? 5 Its a cold day. 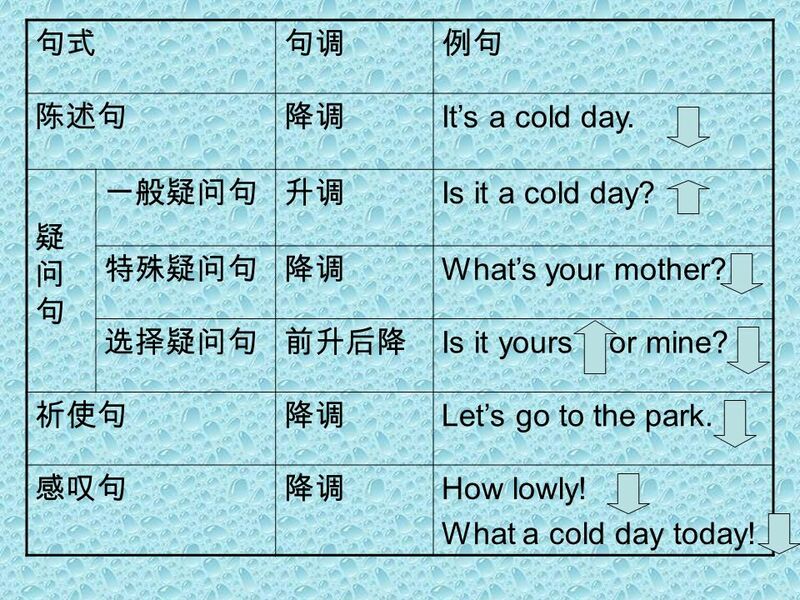 Is it a cold day? Whats your mother? Is it yours or mine? Lets go to the park. How lowly! What a cold day today! 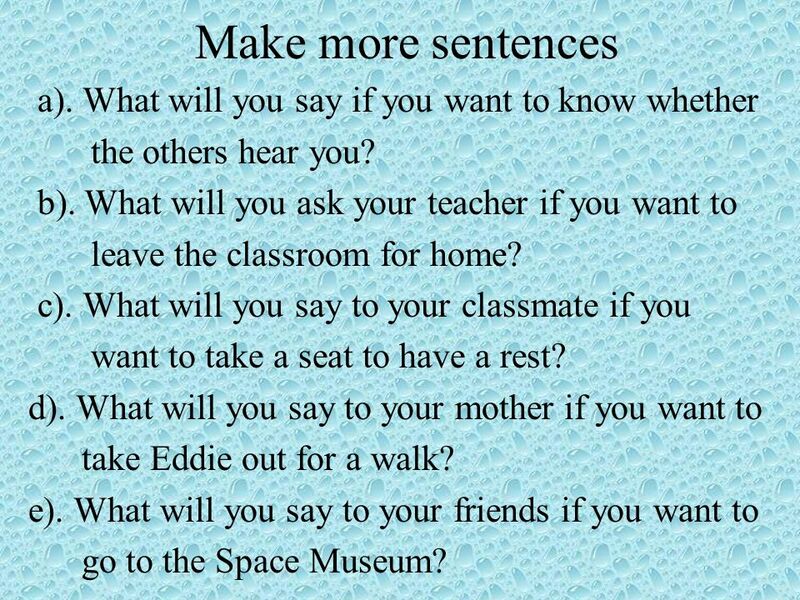 6 Make more sentences a). What will you say if you want to know whether the others hear you? b). What will you ask your teacher if you want to leave the classroom for home? c). What will you say to your classmate if you want to take a seat to have a rest? d). What will you say to your mother if you want to take Eddie out for a walk? e). What will you say to your friends if you want to go to the Space Museum? 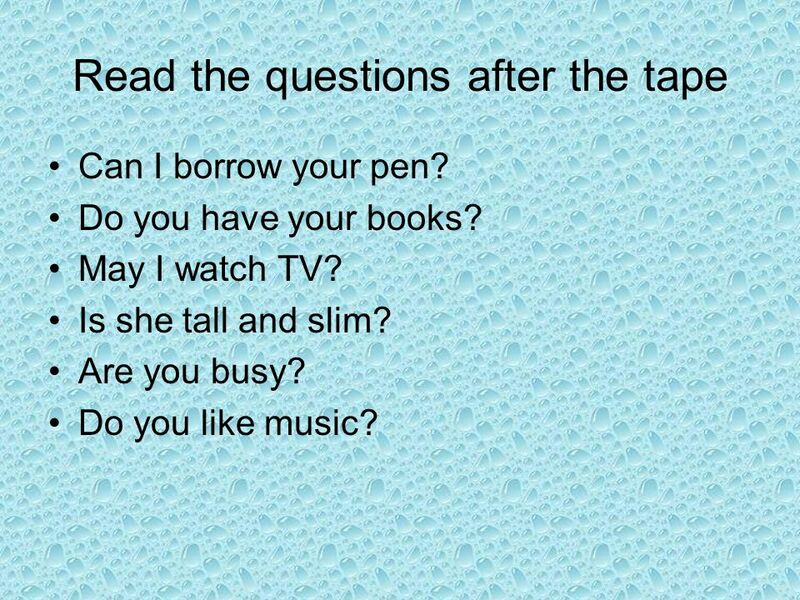 7 Read the questions after the tape Can I borrow your pen? Do you have your books? May I watch TV? Is she tall and slim? Are you busy? Do you like music? 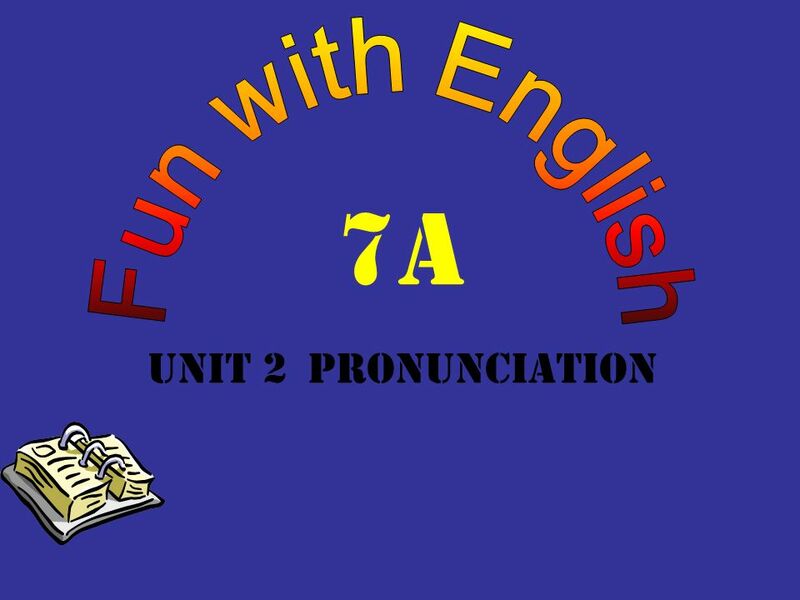 Download ppt "7A Unit 2 Pronunciation Work in pairs and talk about the school and class the lessons the after-school activities the teacher and friends." M3U1 In my school Animal School. Lesson 83 MORE INFORMATION ABOUT KARL MARX Note making: Name:Karl Marx Born: May 5 th,1818 ;Germany Studied at :University Lived in:Germany,Belgium,France,England. Unit 3 At a Music lesson Vivian. Name Card English name: From: Family: Ability : Vivian Changzhou four people in my family I can …. 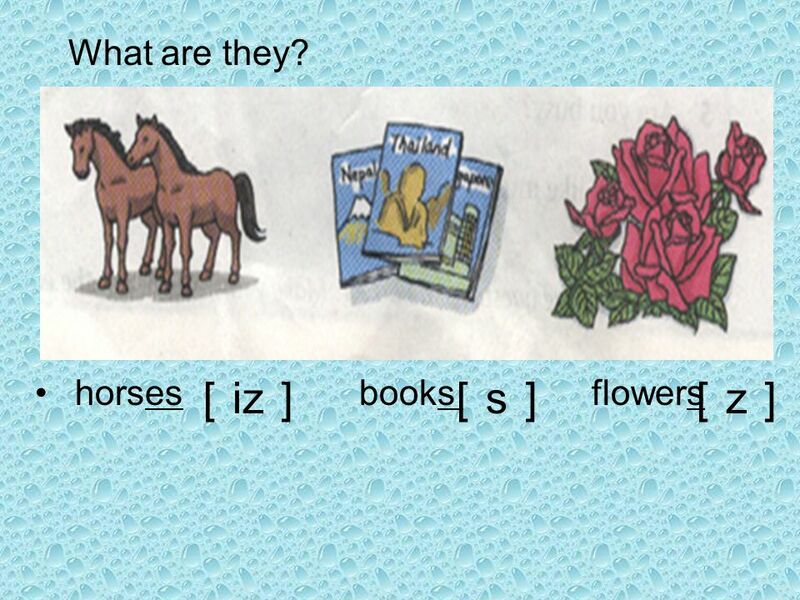 Unit 1 Grammar 2 Different parts of a sentence. 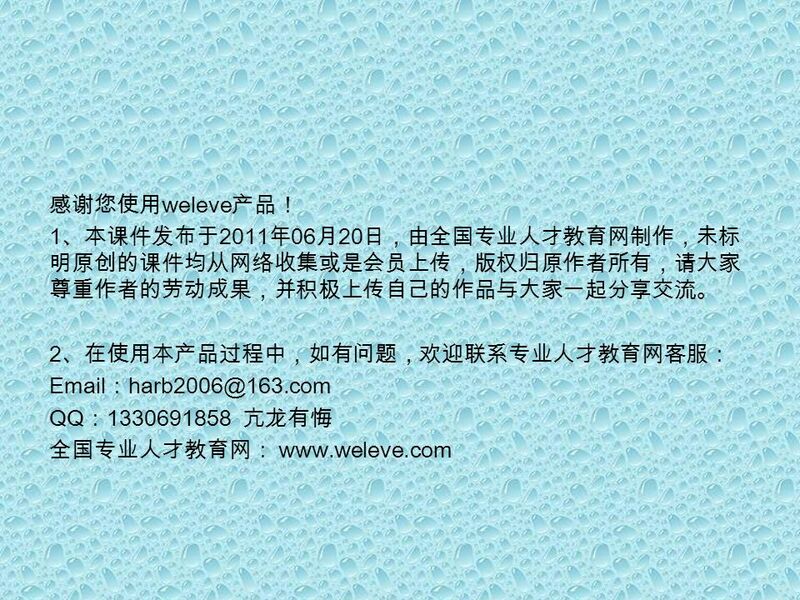 donate ¥200 thousand in Sichuan earthquake generous? It is _________ of Liu Xiang _______________. Liu. 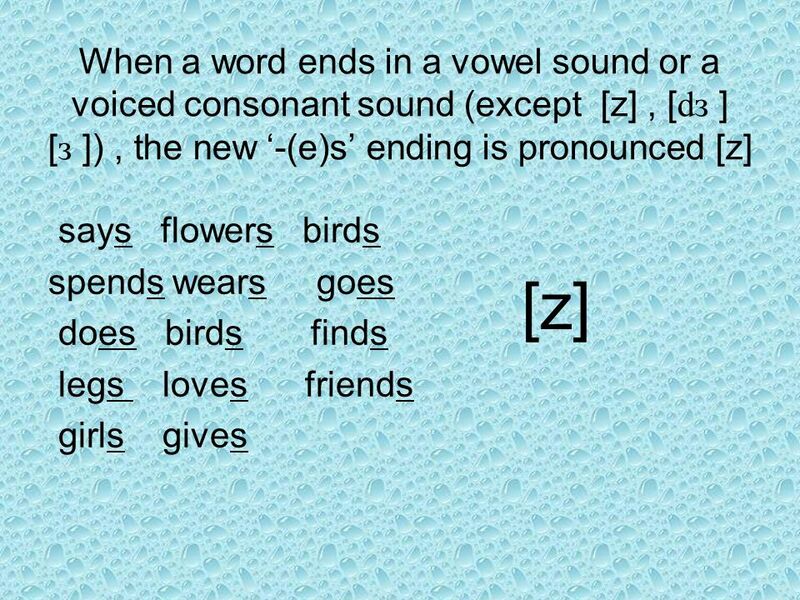 VOWELS a e i o u CONSONANTS b c d f g h j k l m n p q r s t v w x y z.
Pronunciation of “S” Pronunciation Most words ending in “s” are pronounced /s/ kids, toys, games, eats, plays, …. Some words have a different pronunciation. 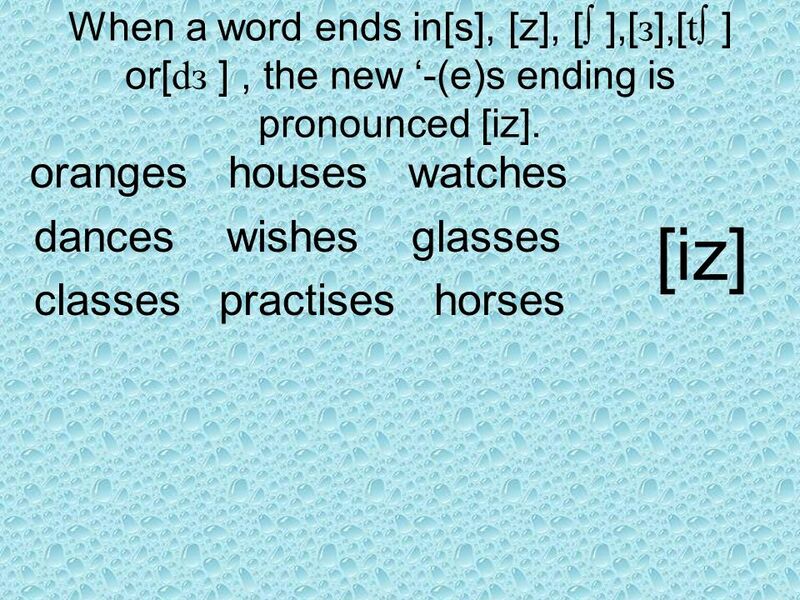 Unit 4 Amazing things Pronunciation. 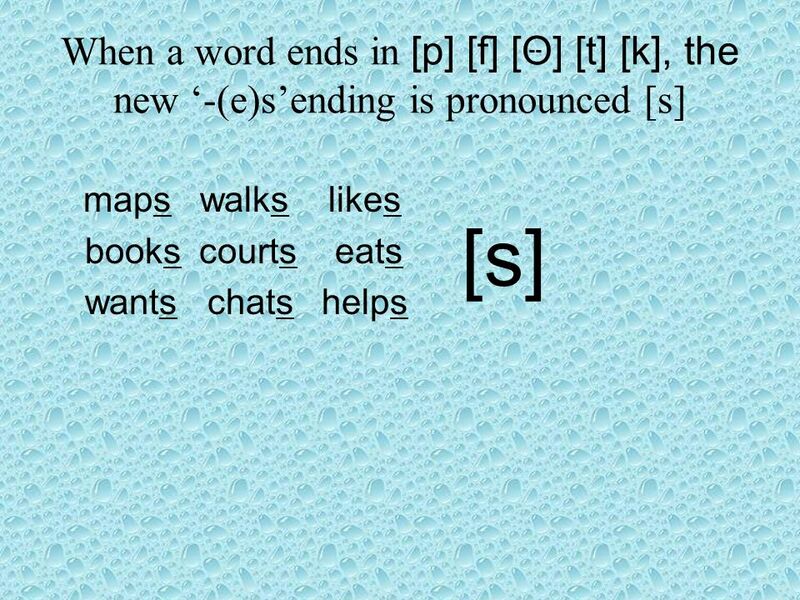 Most verbs + edwalk walked Verbs ending in e + dlive lived Verbs ending in a consonant +y -y + iedstudy studied Short. Unit 1 This is me! Grammar 1. 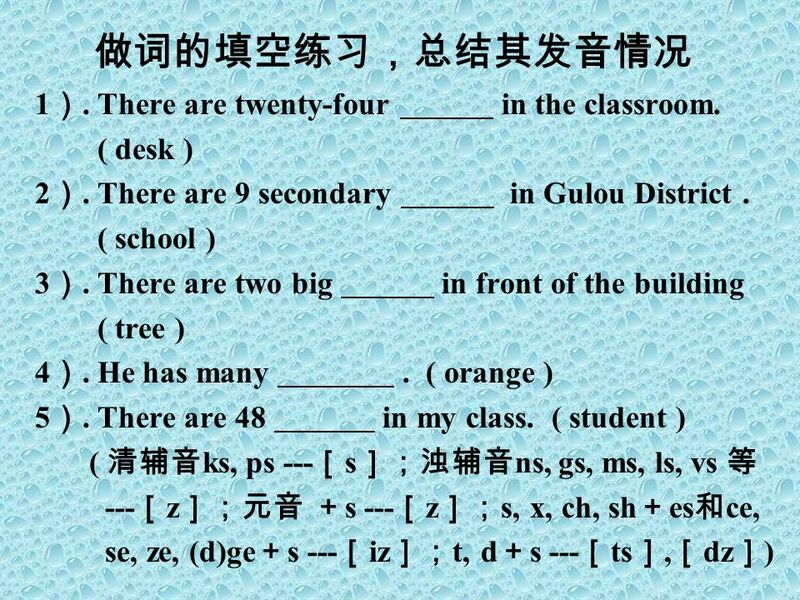 Simple present tense( 一般现在时 ) 1.To learn to use the simple present tense to talk about :  Things are always true.  Things.